Get to know the Rollins College Wellness Center staff. 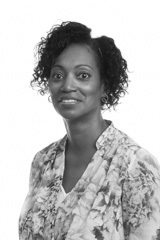 Connie Briscoe holds a PhD in Counseling Psychology from the University of Tennessee, Knoxville. Connie enjoys collaborating with the campus community to promote wellness and foster a safe, caring, supportive and healthy Rollins community. Connie also enjoys providing group, individual, crisis, and couples therapy; providing supervision and training; consulting with faculty, staff and administration; and participating in various outreach activities. When not at work, Connie enjoys spending time with her family, gardening, physical fitness, and spending time connecting with nature and the environment around her. Nadine A. Clarke, MA, LMHC is a full-time counselor and holds a Master's Degree in Mental Health Counseling from Rollins College. 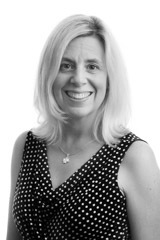 Nadine is an EFT practitioner and a certified hypnotherapist. She enjoys facilitating therapeutic and psycho-educational groups and utilizes a collaborative and strengths based approach in working with individuals and couples experiencing severe psychological distress. Nadine has worked with clients on an array of issues including relationships, depression, anxiety, sexual orientation, ethnic or racial diversity, body image, and adjustment. Denise B. Snyder, ARNP is a Family Nurse Practitioner with previous experience in Internal Medicine, Cardiology, and Retail Clinic Management. She completed her undergraduate Nursing degree at Florida State University and her Masters of Science in Nursing at Wright State University in Dayton, Ohio. She is passionate about the integration of health and wellness in the lives of the Rollins student. 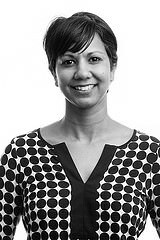 Shalini C. Roy, LMHC, is a full-time personal counselor at the Rollins Wellness Center. She holds a Master’s Degree in Mental Health Counseling from Rollins College. She utilizes a collaborative and integrative approach when working with individuals and is trained in EMDR for the treatment of trauma. Shalini has worked with clients on a variety of issues including but not limited to adjustment difficulties, stress management, anxiety, family of origin concerns, difficulties with interpersonal relationships, low self- esteem, personal growth, and the development of emotional and self-awareness. Renée Treviranus is a Licensed Clinical Social Worker. She holds her Master’s degree in Social Work from the University of Wisconsin-Milwaukee. She utilizes an eclectic approach in therapy including cognitive behavioral therapy, solution focused therapy and motivational interviewing. Has experience working with individuals, couples and groups. She has worked with multiple populations including substance abuse/recovery, mental health counseling, Traumatic Brain Injury, as well as Anger/Stress Management. In Addition, she has worked with potential issues faced by LGBTQ+ and military veteran’s transitioning to civilian environment. Davey Olson, RMHCI, is a full-time personal counselor at the Rollins Wellness Center and serves as the Outreach and Suicide Prevention Coordinator. She holds a Master’s Degree in Mental Health Counseling from Rollins College. Davey utilizes collaborative, person-centered therapy while applying a multicultural and social justice perspective. She has experience working with clients on a variety of issues including identity development, adjustment concerns, stress and anxiety management, family concerns, and personal growth. Davey incorporates various theories and techniques individualized to best meet the needs of each individual she works with. She is particularly passionate about utilizing creative interventions and mindfulness practice. In her free time, Davey enjoys adventuring outdoors and exploring new places with her dog son, Bo. Katherine Fowler, ARNP-BC, is a Family Nurse Practitioner with previous nursing experience in cardiovascular post-operative care at Florida Hospital, as well as travel nursing in California. She completed her Masters of Science in Nursing at the University of Central Florida. In her spare time, she enjoys spending time with her family, friends, and her dogs. Originally from Costa Rica, she enjoys Latin style dancing, travel, and vegetarian cuisine. Katherine is excited to be part of Rollins College's diverse and inclusive community. William Rentz holds an MS in Nursing from the University of South Florida. His nursing experience includes CVS MinuteClinic, Polk County Department of Health: Infectious Disease, and Select Specialty Hospital, where he was a House Supervisor in Critical Care. He has been married for 37 years and has a daughter in grad school, and a son who works in I.T. Cristelle recently completed her Master’s in Public Health and Bachelors of Science in Health Education at the University of Florida. Go Gators! She is looking forward to introducing new health initiatives to the Rollins campus and hopes to integrate healthy behaviors into every student’s way of life. On her spare, Cristelle loves to travel around the world, meet new people, and learn about new cultures. Most of all, she’s very excited to be joining the Tar Nation! Adrienne Silvera, RN, has a Bachelor’s Degree in Business Administration with a concentration in Health Services. Her previous experience includes behavioral health, community outreach, and medical office management. A long-time New Jersey native prior to moving to Central Florida, Adrienne enjoys traveling with her family and exploring new places and cultures. 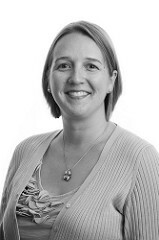 Jemma has a BA in Social & Criminal Justice with a minor in Psychology from Ashford University. She has over ten years of medical office experience, which allows her to have a comprehensive understanding of the integrated services of the Wellness Center. Jemma’s enthusiasm, people-oriented character and dedication to problem solving, helps her to serve our college community with proficient customer service, customer relations, and office administration. In her spare time, she loves reading, traveling and spending quality time with her daughter, family and friends. Jerry is a Graduate Counseling Intern at the Rollins Wellness Center. He is completing his Master's (MA) in Marriage, Couple, and Family Therapy at the University of Central Florida. In his free time, Jerry enjoys hanging out with family. Abby is completing her Master’s in Clinical Mental Health Counseling at Rollins College and recently joined Rollins Wellness Center as an intern. Her experience includes work as an administrative assistant at two local private practices and as a graduate and lab assistant. She takes a collaborative, solution-focused and person-centered approach when helping clients identify their goals and develop resiliency. In her free time, Abby enjoys reading, spending time with friends and family and attending concerts. Taylor is a Graduate Counseling Intern, and has joined the Rollins Wellness Center staff for the 2018-2019 academic year. She is currently completing her Master of Arts Degree in Clinical Mental Health Counseling at Rollins College. She holds a Bachelor’s Degree in Psychology from the University of Central Florida. Her work with college students began as an academic tutor and as an advocate for women’s rights in the Orlando area. Taylor operates from a person-centered, humanistic, and systemic counseling approach in helping clients appreciate their true, authentic selves. In her free time, Taylor enjoys attending college football games and spending time with her pup. Erica is a generalist student in the Master of Social Work program at the University of Central Florida. She holds a Bachelor’s of Science in Psychology from the University of Central Florida. She enjoys playing indie video games in her spare time. Natalie Cowell is a clinical student in the Master of Social Work program at the University of Central Florida. She holds a Bachelor's of Arts in Psychology with a minor in Humanities from the University of South Florida. Natalie utilizes an integrative approach in counseling and draws from cognitive-behavioral, person-centered, and Motivational Interviewing approaches. Natalie's primary experience has been providing individual therapy in college counseling centers. Natalie's areas of clinical focus are anxiety, depression, trauma, and interpersonal functioning. She enjoys cats, farmer's markets, Disney, and traveling around the world. Andrea is the Clinical Mental Health Counseling Intern at the Rollins Wellness Center. She is currently completing her Master's of Arts in Clinical Mental Health Counseling at Rollins College. In her free time, Andrea enjoys rock climbing, yoga, and spending time with friends and family. Graduate Assistant at CAPS working specifically with substance abuse treatment and prevention. Brett received his B.S. in Behavioral Neuroscience from Centre College. He is currently working on his Masters in Clinical Psychology at the University of Central Florida. Outside of work, Brett spends his time reading, rock-climbing, playing baseball and hanging with his three cool cats at home. Dey Gonzalez is the Wellness Outreach Graduate Assistant at the Wellness Center. She received her B.S. in Social Work from Florida International University in Fall 2015 and now is in her first year of the Higher Education/Student Personnel Master’s program. Dey has experience in working with a diverse college life. In her free time, she enjoys listening to hip hop/rap, reading poetry, and watching shows on Netflix. Dantéa is a certified Therapy dog. She is a 5 year old Boston Terrier securing her certification through Therapy Dogs International. 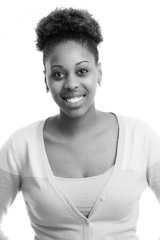 Dantéa enjoys working with individuals, groups and participating in outreach events. In her free time she enjoys spending time in the water, sunbathing and introducing herself to new reptiles.